A rainbow over a dirt road at sunset. Very nice! Where is this? 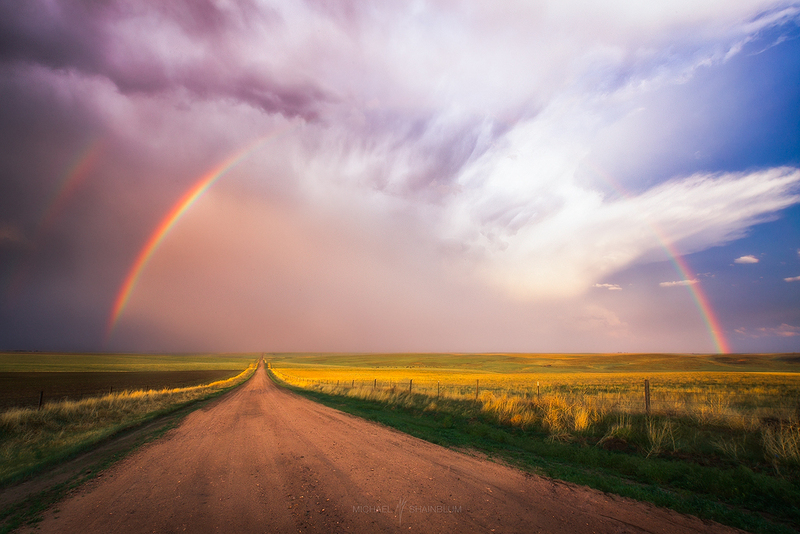 Looks a bit like the road jake olson uses!